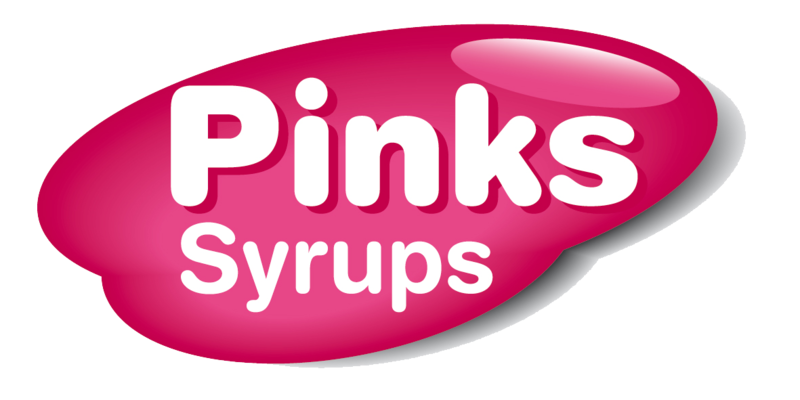 The Website is operated by Pinks Syrups Ltd (“Pinks Syrups Ltd, “we, “us or “our”), a company registered in the UK under company number 05793091 and our registered office is at 86 Priory Court, Alston Drive, Bradwell Abbey, Milton Keynes, MK13 9HF. You can contact us by phone or email, and our contact details are provided on our contacts page. may register with us as a member and/or order products to be supplied by us (“Products”). You should print a copy of these Terms. We make no representation as to the availability of the Website or your ability to access it. We will not be liable for any loss of any nature resulting from unavailability of the Website. The Website is only intended for use by people resident in the UK and Ireland the EU. We dot not accept orders from individuals outside these countries. You are resident in the UK or Ireland. You may retrieve and display the content of the Website on a computer screen, store such content in electronic form on disk (but not on any server or other storage device connected to a network) or print one copy of such content for your own personal, non-commercial use, provided you keep intact all and any copyright and proprietary notices. You may not otherwise reproduce, modify, copy, distribute or use for commercial purposes any of the material or content on the Website without expressed written permission from us. 6.1 The Website may include links to other websites which are beyond our control. We are not responsible for any content on the Internet or pages on any other website or publications outside the Website. 7.1 Your registration on or purchase on the Website or the payment of any sum constitutes an offer by you to us to register you as a Member and or order Products. We will send you an email which states that we confirm the receipt of your request for registration or the purchase of Products. The email will specify the order for Products that you have made as part of your registration, but this does not constitute an acceptance of your offer. Your offer to us is accepted and a contract is concluded with us on activation by us of your account and granting you access to the Website. 8.1 Provided that nothing to the contrary has been agreed upon between the parties, the delivery shall be made to the delivery address specified by you. It is agreed that any one located at the delivery address is entitled to accept the delivery. The recipient shall document successful receipt of the goods through there signature. 8.2 If a delivery to you is not possible because no one is available for signature our courier company is prepared to leave the Products at a place specified by you or the Products will be held at the offices of our delivery agents for up to 5 days for collection or you may re-arrange delivery on one further occasion at a more convenient time. 8.4 We will endeavour to ship ordered Products to the designated delivery address in accordance with the timescales we set out in the Website. Pinks Syrups Ltd shall be liable only for the fault of its vicarious agents in the event of gross negligence or intentional wrong doing upon the part of the vicarious agent. 9.2 The goods sent and delivered to the address at Pinks Syrups Ltd must be in the original, unopened packaging and be noted with the original invoice number. Pinks Syrups Ltd will not accept any cash on delivery for returned products. 9.3 We will examine the returned products and notify you of your refund within a reasonable time frame. Products returned by you because of a defect will be refunded in full, including a refund of the delivery charges for sending the Products back. 9.4 This amount will be returned by bank transfer or credit/debit card credit to be determined by Pinks Syrups Ltd. This transaction will occur no later than 30 days after the physical receipt of the returned Products. 9.5 The Customer will not be entitled to a refund, and shall assume all costs related to shipment, return shipment and the handling fee if the Products are not defective or do in fact correspond to the goods ordered. 9.6 Pinks syrups Ltd shall accept only the methods of payment offered at the time of purchase, i.e. payment per credit card or debit card. Pinks syrups Ltd will be entitled to deduct the cost of any returns against the refund sum. 10.1 Although we will use reasonable skill and care in providing the Website and Products we give no other warranties or guarantees in relation to the Website. The Customer must bear the risks associated with the use of the Internet. 10.2 The Website provides content from other Internet sites or resources and while we try to ensure that material included on the Website is correct, reputable and of high quality, we cannot accept responsibility if this is not case. 10.3 We will not be responsible for any errors or omissions or for the results obtained from the use of such information or for any technical problems you may experience with the Website. If we are informed of any inaccuracies in the material on the Website we will attempt to correct the inaccuracies as soon as we reasonably can. (a) incompatibility of the Website with any of your equipment, software or telecommunications links. 10.5 You agree that we will not be liable to you for any losses related to any business interests that you have, such as lost data, lost profits or business interruption or for any consequential losses of any description that you may suffer. 10.7 If the purchased Product is found to be defective upon delivery, Pinks Syrups Ltd should be notified immediately. The return of any defective Products should adhere to the returns policy noted above. The assignment of these claims by you is excluded. A complaint cannot be asserted if the defect was created due to improper use or storage of the goods upon your part. We shall not be liable for defects which have been caused by force majeure or by your own actions. 10.8 If you do not submit the complaint in a prompt manner (during the complaint/warranty period), then it shall have no claim to a positive handling of the compliant. Liability for damage compensation is excluded. In particular, Pinks Syrups Ltd shall not be liable for damages which are not upon the delivered object itself. 10.9 Information and charts on the online shop regarding price lists and other price information are for purely informational purposes and do not constitute commitments upon the part of Pinks Syrups Ltd. Product illustrations are sometimes model illustrations and may deviate from the Products which are ordered/supplied. 11.2 Because we have the delivery of the Products undertaken by an external delivery company, we must pass on the information about the delivery address and the recipients to this company. The Customer hereby grants its consent to this when its order is made. The Customer shall be entitled to withdraw this consent at any time with effectiveness for the future. Pinks Syrups Ltd shall be obliged to make immediate deletion of the personal data unless an ordering process has not yet been completed. 12.2 The invalidity of one or more of the agreed-upon terms and conditions shall not affect the legal validity of the remaining provisions. The stator provisions shall apply in the event of invalidity. 12.3 In the event that a Product should not be able to be delivered, we shall be obliged to notify you of such non-availability as soon as possible. 12.4 By means of their order, the Customer also declares their agreement with these General Business Terms and Conditions.